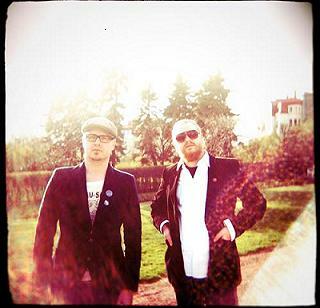 the gentleman losers’ music has been called post-rock, alt-country, folktronica and ambient americana. it’s been described as mesmerizing, cinematic, soothing, and ominous. there’s been comparison to vincent gallo, boards of canada, stars of the lid and angelo badalamenti, as well as neil young’s dead man soundtrack and ry cooder’s paris, texas. it has been called music from a land inhabited by kerouac’s characters. it’s a land of long forgotten crooners on crackly old 78s. tapes with no name, found in a basement. a telefunken mixer from the 1950s. midnight recording sessions in a haunted house. the distant din of the city. the silence of the woods. freight trains in the horizon. abandoned towns on the edge of the desert. fading photographs of lives past. dead butterflies fluttering in the setting sun. a darkness approaching. an archipelago of insomnia. memories of things to come.